If you are looking for hassel-free hosting or Internet access, then Web101 can provide you with domain name registration, hosting, ADSL and professional website design and development for both business and the private individual. We offer both CAPPED and UNCAPPED ADSL Packages. View our Specials on Uncapped ADSL. Order any NEW Uncapped ADSL Package during the months of April 2019 to June 2019 and you'll get 10% off your monthly subscription for the first two months! No catch, no contracts. Pay for 6 months up-front and get 10% off! Offer valid until July 2019... but your account must be up-to-date in order to qualify. Take advantage of our wide range of ADSL & DSL services available. Combining quick setups with simple yet scalable management areas, makes our services ideal for organisations of all sizes to implement all-in-one IT solutions. Powerful, feature packed, high performance Windows and Linux web hosting. 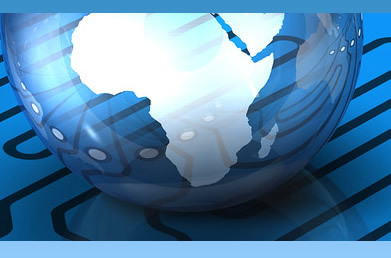 All packages come with the choice of either South Africa or United States based web hosting. From basic needs to enterprise level demand, we cater for almost every hosting requirement imaginable. Our mission is to provide the best possible products and services to meet your requirements. Whether you run a small business from home or you are the CEO of a large Corporation, we offer a wide range of Hosting and Internet Solutions. Use the online form to contact us or to place an order, and we will contact you.